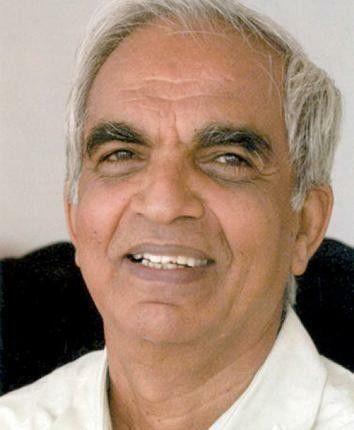 Tirumalai Krishnamacharya Venkata Desikachar, a revered yoga teacher and son of the “Father of Modern Yoga”, Sri Krishnamacharya, died Monday on August 8th, in Chennai, Tamil Nadu, India. As a boy, Desikichar, who was born in 1938 in Mysore, was not enthusiastic about following in his father’s footsteps. Legend has it that his father once chased Desikachar up a tree because he refused to do his daily practice. As a young man, he was determined to pursue a career as an engineer. However, in 1961 at the age of 23, he relented and became one of his father’s most devoted followers. Desikachar stands alongside B.K.S Iyengar and K.Pattabhi Jois as among the most influential yoga teachers of our times. Desikachar is the last of these three great teachers to die: Iyengar died in 2014 at the age of 96, and Jois died in 1993, at the age of 93. However, Desikachar was youngest, at age 78. Desikachar had a deep interest in the Yoga Sutras and revived interest in the ancient texts by showing how they could be applied in general life, not just in yoga practice. He was well-known for his own sayings, which encapsulate great ideas in few words, and wrote eight books, the most famous of which is The Heart of Yoga (1999). He took a secular view of yoga. Like his father, Desikachar was fascinated with healing, and promoted yoga practice for its holistic healing and health-giving properties.